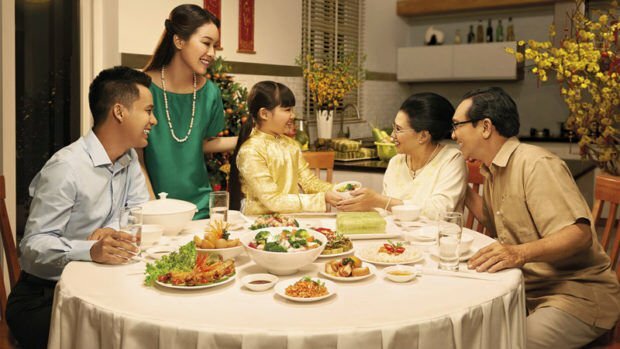 One of the hallmarks of� Vietnamese cuisine is the amount of condiments and other accompaniments you get with your dish. 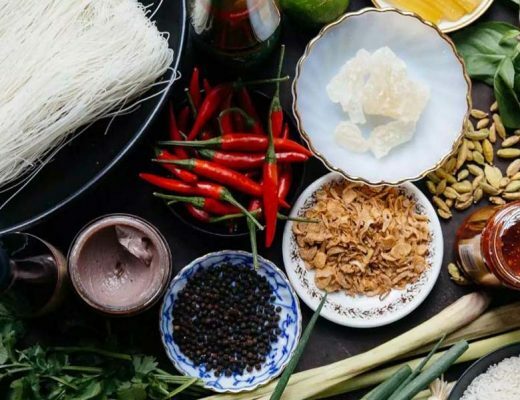 When you order a Vietnamese dish, and especially the country’s many noodle soups (phở,� bún bò Huế,� mì Quảng and� bún riêu, just to name a few), your food usually comes with an entire basket-load of leaves and vegetables in different shades of green, and even purple. These leaves are� herbs that have been specially curated over generations to complement specific dishes for a variety of reasons, from enhancing the taste, to simply providing an additional source of fibre and nutrients. So what exactly are these many herbaceous varieties, and why did the waiter place them next to your plate? Read on! Probably the easiest herb to identify on this list. 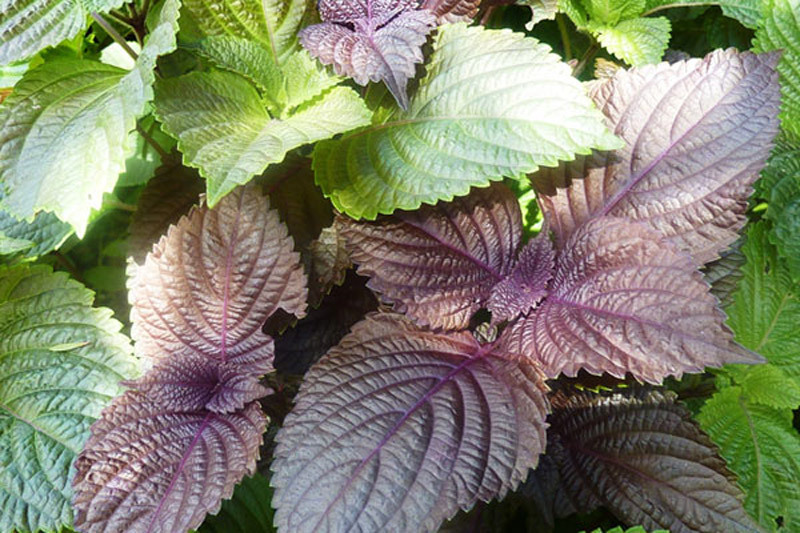 Vietnamese Perilla leaves are green on top, and purple underneath. With a strong, earthy taste, these herbs usually come with popular soup dishes like� phở� and� bún chả,� along with salads and grilled meats. Health benefits?� This herb is known for its antibacterial and antiviral� properties. In Chinese medicine, it is used to treat respiratory issues such as coughs, stuffy nose and asthma. Small and slightly narrow dark green leaves with purple stems. The leaves have a smell similar to black licorice. This is definitely one of the most popular herbs across the country. Thai basil is slightly sweet with a taste that will remind you of anise, and is always served with� phở. Simply tear off the leaves and mix it into your soup. Health benefits? 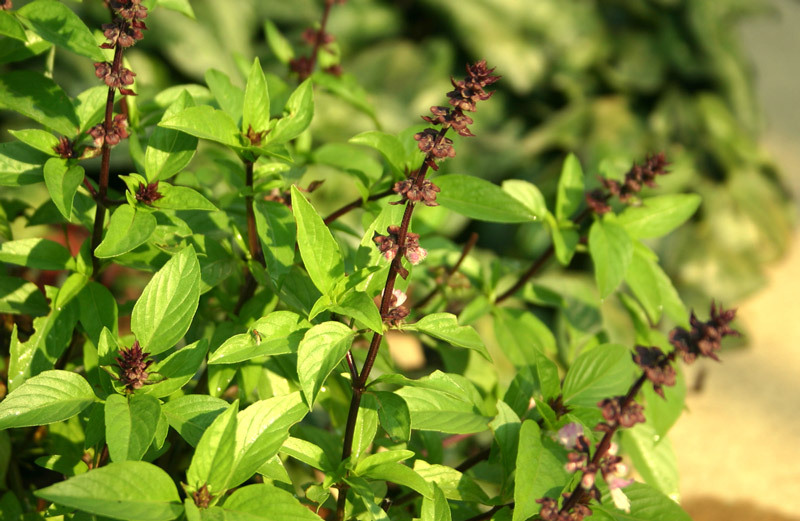 Known for its antibacterial qualities, some households� use the crushed leaves of Thai Basil to treat small cuts. It might sound like the title of a really bad sequel to a food-themed film, but culantro is an actual herb, with long, narrow, serrated leaves and a slightly stronger taste than cilantro… so maybe it is a sequel after all! 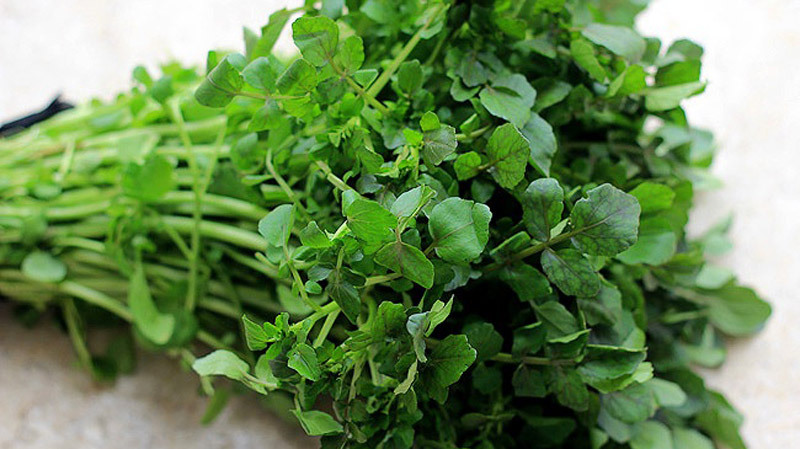 This herb often accompanies� phở,� bánh xèo (pork and beansprout pancake) and sour soups. Health benefits?� In traditional medicine, it is commonly used to� treat diarrhoea, colds, pneumonia symptoms and many other ailments. These teardrop-shared herbs are dark green and have a bitter, peppery taste. 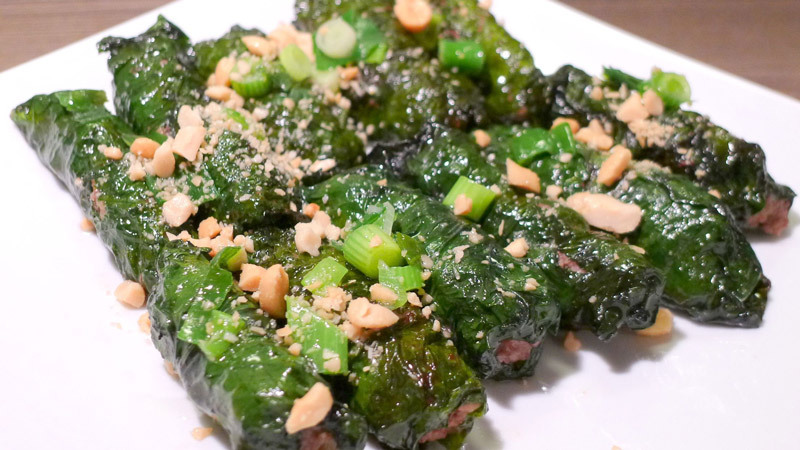 Often used as the outer wrap for� bò lá lốt (grilled beef wrapped in leaves), they are often confused for� betel leavesdue to their similar taste and appearance. Health benefits?� The herb can also be used to� treat a variety of conditions, from inflammations to snakebites. This green, heart-shaped leaf has a slightly fishy smell, which gives it its name. It also tastes as fishy as it smells, and is usually served with grilled meat, fish soup, noodle salads and fresh spring rolls. Health benefits? The leaves are also a well-known local� remedyfor stomachaches and indigestion. It usually appears on thin stems with narrow, alternating leaves. Just like its name suggests, this herb leaves a bitter taste in your mouth. It’s usually served alongside hot pots and used for soups, only added if diners crave a bit of bitterness in the broth. In other words, it shouldn’t be eaten raw and directly from the stem. Health benefits?� Bitter Herb is also traditionally used to treat fever, joint pain and inflammation. Another popular herb, Vietnamese Coriander, is dark green and spotted with two purple streaks. It looks and smells like mint. This herb holds a variety of complex flavours. It’s spicier than traditional mint, with a slight lemony and bitter aftertaste. Sounds confusing? That’s exactly how this herb makes you feel, in a good way. 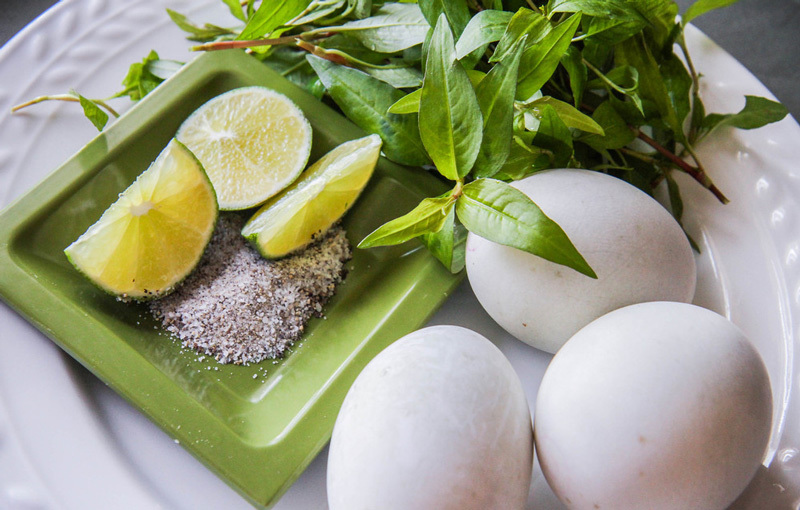 It’s often used in salads, fresh spring rolls, soups and stews, but it’s most prominently known as the sidekick to the infamous� hột vịt lộn(fertilised duck egg). Health benefits?� This herb is known for its� diuretic properties, and is also used as a digestion aid. 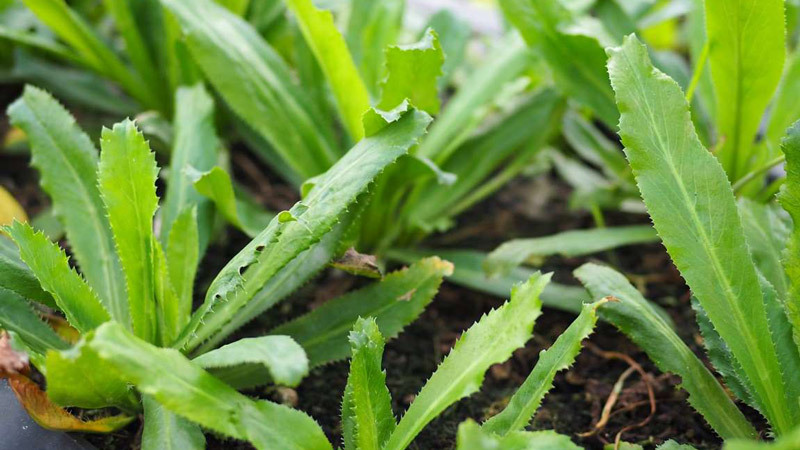 The long, serrated leaves of the Vietnamese Balm can be anywhere between 2 to 8 centimetres long, and are basically “those long leaves” you find in your herb basket whenever you order any soup or meat dishes. Tasting like a combination of lemon and mint, this is one of the most common and popular herbs used in Vietnamese cuisine. Health benefits?� It is also a home� remedy to treat colds, fevers and headaches. 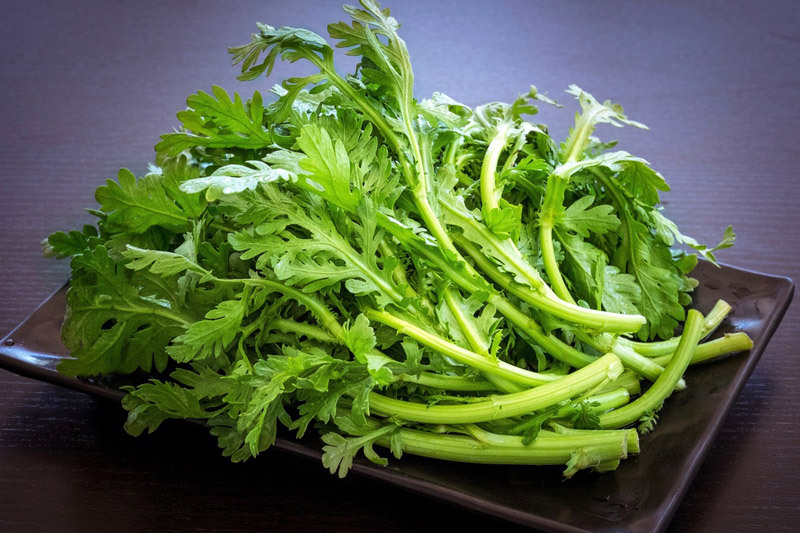 Also known as Chinese coriander, cilantro, with its broad leaf and tiny top, isn’t exclusive to Vietnamese cuisine—it’s often used in cuisines around the world. Depending on who you ask, this herb can either taste remarkably earthy, or soapy. There’s a scientific explanation for that. In Vietnam, it is used often as a garnish and served with many fried and grilled dishes, though it’s most commonly found in your� bánh mì. 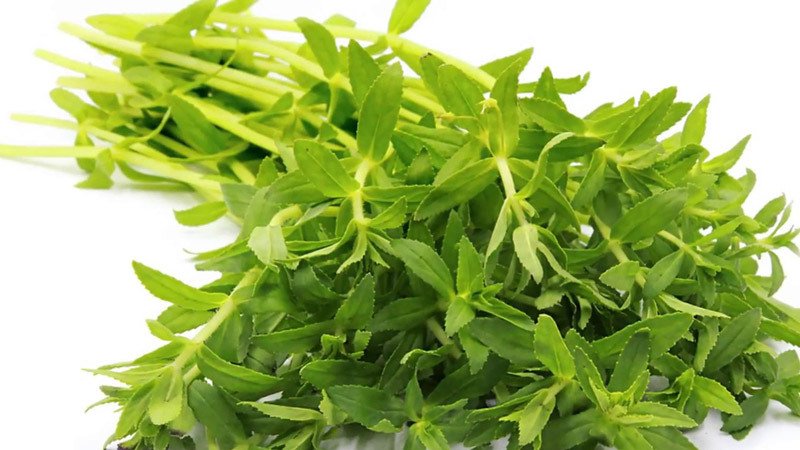 Health benefits?� The herb is a good� source of potassium, manganese, calcium, iron and magnesium, as well as Vitamins A, C and K.
This bright green herb has hollow stems and small hairs, and are quite spongy to the touch. The leaves are slightly serrated and it tastes like a mixture between lemon and dill. Rice paddy is often used in sour soups and is commonly served with hot pots. Health benefits?� The herb is also� used as a disinfectant and as a treatment for kidney stones. 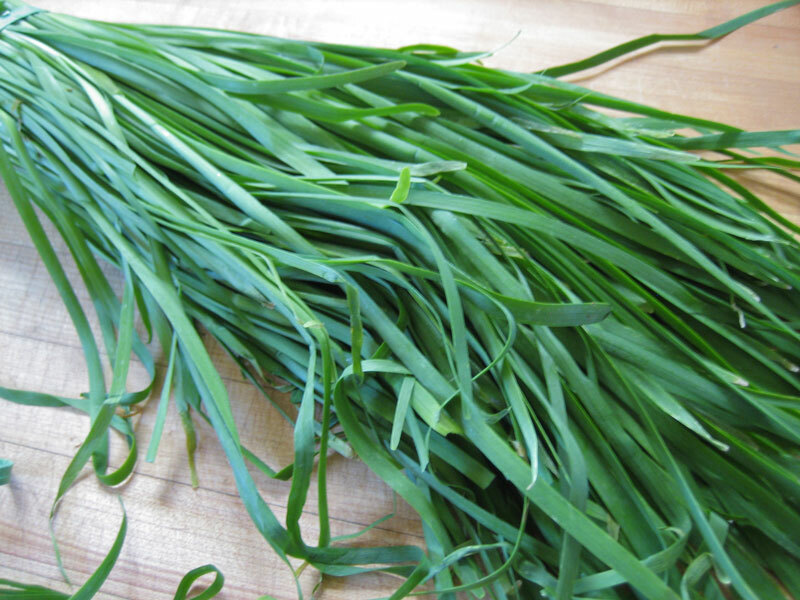 Another prominent herb in Vietnamese cuisine is the Chinese chive, also known as garlic chives. It has a tubular shape which flattens off at the ends—you’ll recognise it as the herb that sticks out awkwardly from the ends of fresh spring rolls. The herb got its alternative name due to its somewhat-garlicky flavour, and the fact that it’s sometimes chopped up as a garnish for some dishes. It is also usually used to add complexity in soups. 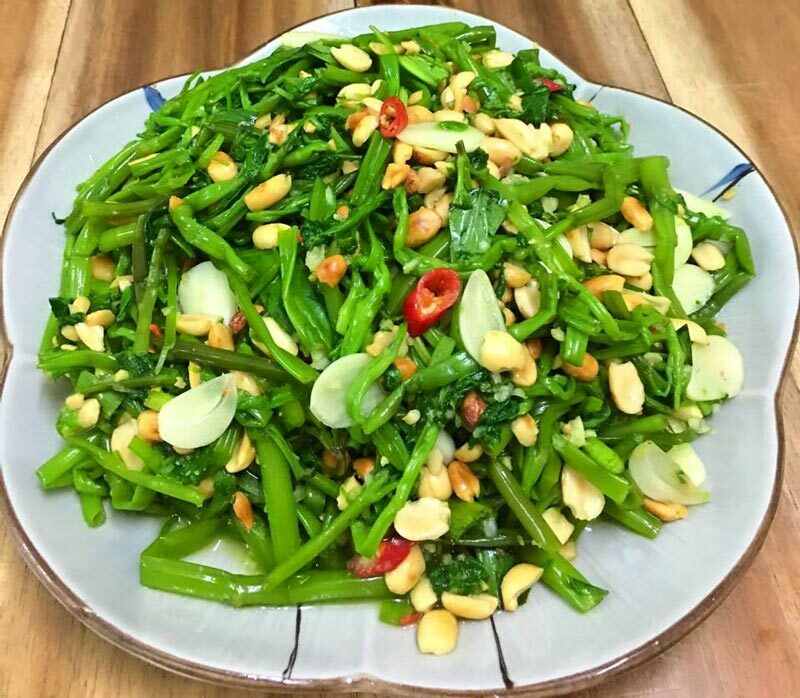 Health benefits?� Due to the presence of rich organosulfur compounds, Chinese chives have been extensively� researched by scientists in relation to its preventative effects against stomach and colorectal cancers. This tiny herb has very thin stems, with rounded leaves and tastes slightly of cucumber. It’s often eaten raw in salads or used in fresh spring rolls, and is also the main ingredient in� nước rau má(pennywort juice). Health benefits?� It is� known for its antibacterial, antiviral and anti-inflammatory properties and contains vitamins B1, B2, B3, and B6, as well as calcium, magnesium, sodium, manganese and zinc. 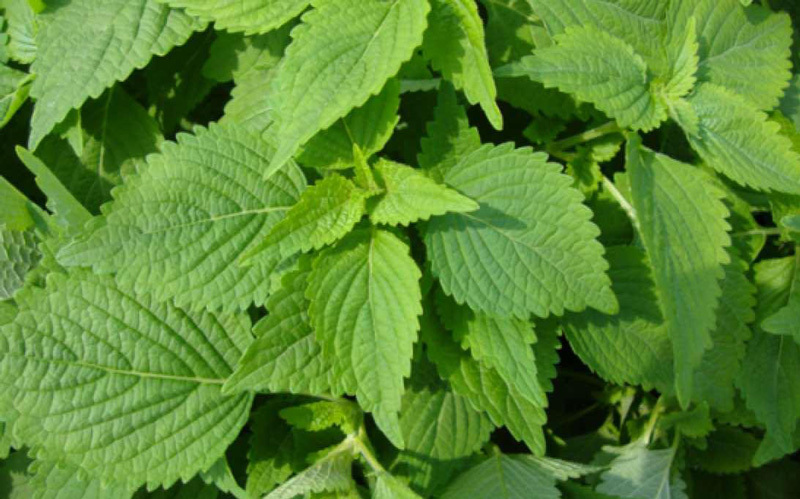 This herb comes in dark green leaves with serrated edges and is a slightly milder version of the peppermint. Usually served and eaten raw, this herb is a common feature in spring rolls, salads and can be found in your herb basket in almost every single food stall or restaurant in Vietnam. 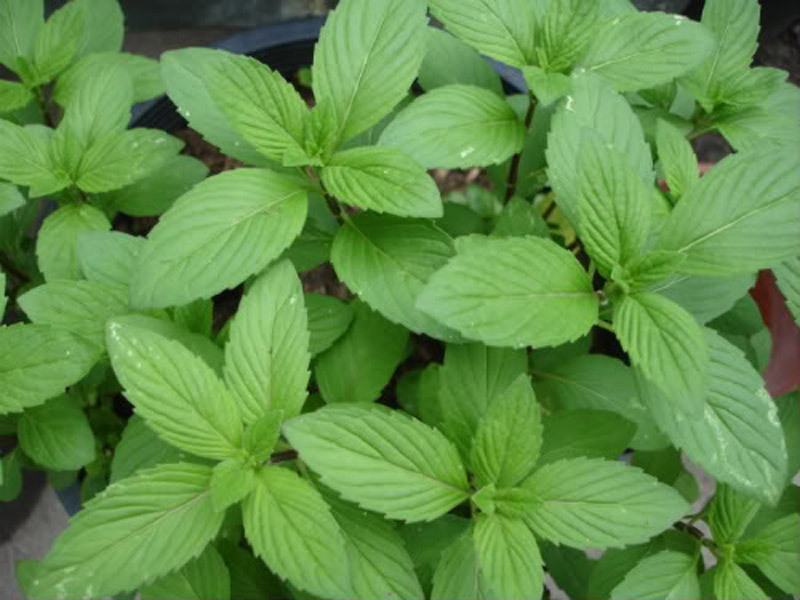 Health benefits?� Spearmint is known for its� beneficial effects on the digestive system and also works as a remedy for stomach distress, indigestion and nausea. 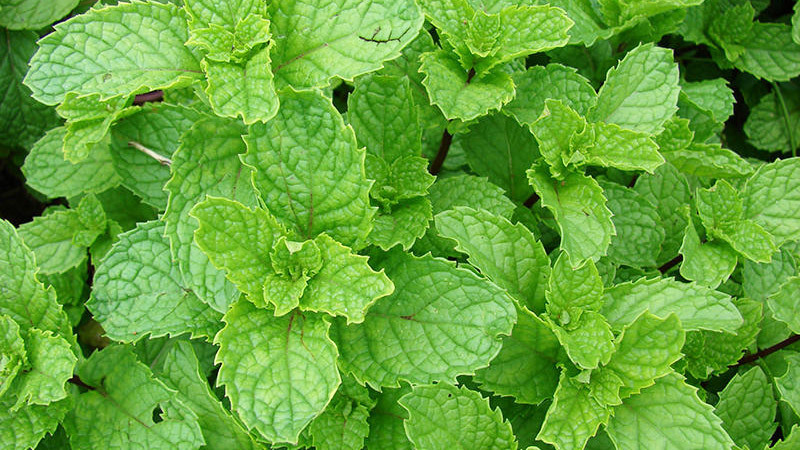 The other popular minty herb, peppermint, has less serrated leaves than spearmint, but holds a slightly glossier sheen. It also has a strong, minty smell. If you are familiar with the taste of mint toothpaste, then this herb is exactly what you’re imagining right now. Both served and eaten raw, it is often found in spring rolls and salads, and will definitely make an appearance in your basket of herbs at almost any food establishment in� Vietnam. Health benefits?� The health benefits of this herb fills up an entire� list, from helping with irritable bowel syndrome to tuberculosis. This herb comes in the form of wavy and waxy-looking green leaves growing out of a thick stem. With a peppery flavour, it is often found in herb baskets when you order a soup dish. It also goes well with pancakes and grilled meats. Health benefits?� The most prominent nutrient in this herb is� Vitamin K, which forms and strengthens bones and teeth. These bright green and glossy heart-shaped leaves have slightly transparent stalks and don’t taste as sweet as they look. “Bittersweet” is the most appropriate way to describe this taste; it’s often eaten raw in salads or cooked into beef dishes. 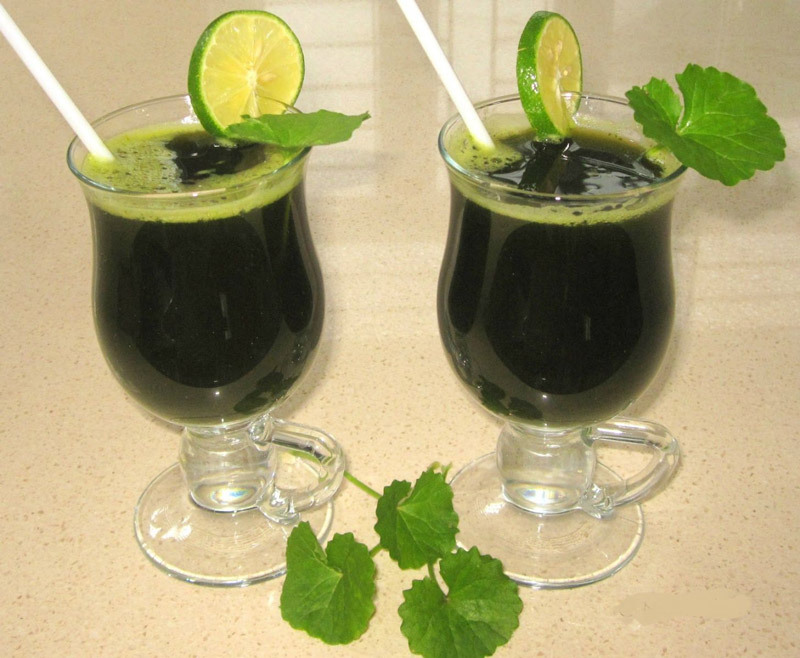 Health benefits?� The herb is used to� treat hemorrhages, gout and renal disorders. It’s not exactly a flower, but rather an edible leaf. Running down a thick stalk, the leaves can either be toothed or rounded. This herb has a very strong, bitter flavour and is often cooked in soups and claypot stews. It is usually served as a raw garnish for soups, but using too much will leave a bitter taste in your mouth. Health benefits?� It is� known for its antioxidant properties as well as being a source of potassium. 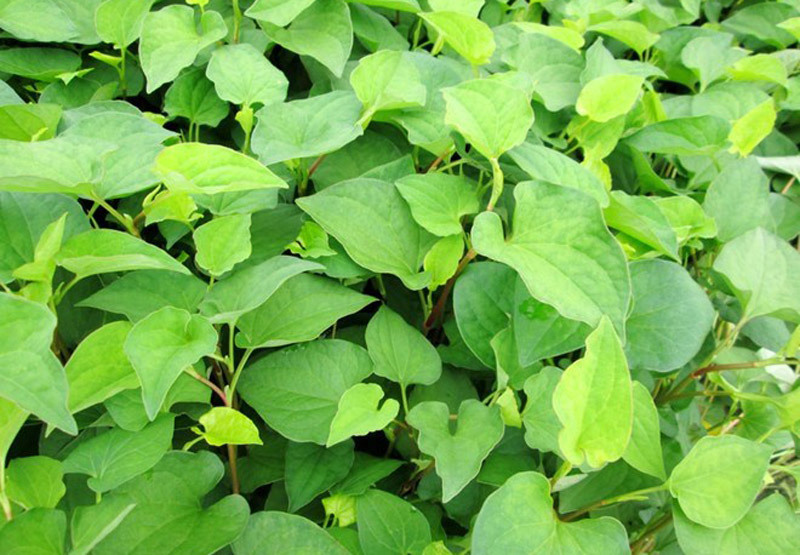 With thin, hollow stems and long, flat, arrowhead-shaped leaves, water spinach has a succulent texture with nutty undertones. It’s commonly used in stir fries and as a vegetable, often added to soups. Health benefits?� This herb isn’t going to give you solid biceps like Popeye, but it’s an excellent� source of protein, calcium, iron and Vitamins A and C. It is also a popular treatment for insect bites and is well-known for its antioxidant properties. This herb, with its broad and long leaves, can be either eaten raw or cooked. 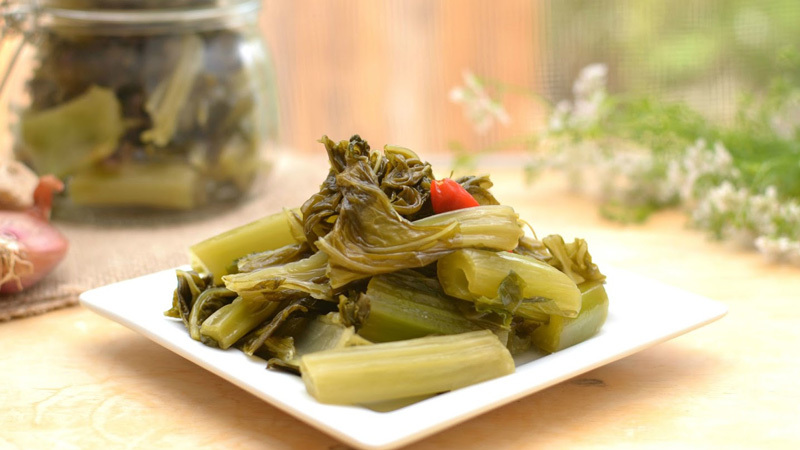 It is commonly found in salads and is generally known to be slightly spicy; it’s the primary ingredient in� dưa cải chua(Vietnamese pickled mustard greens). 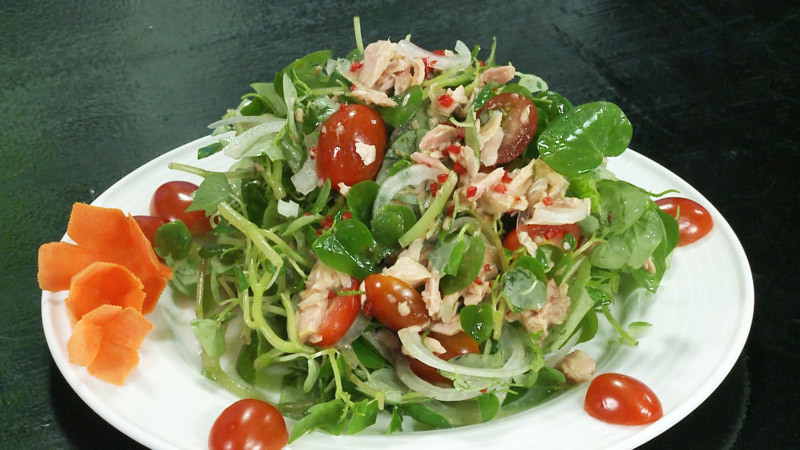 Health benefits?� It is� known to be high in Vitamins A, C and K and also as a good source of calcium. Its antioxidant properties also help the body fight free radicals, and regular consumption may help you fight heart disease and diabetes. The leaves are usually broad and wavy and shaped like an arrow. 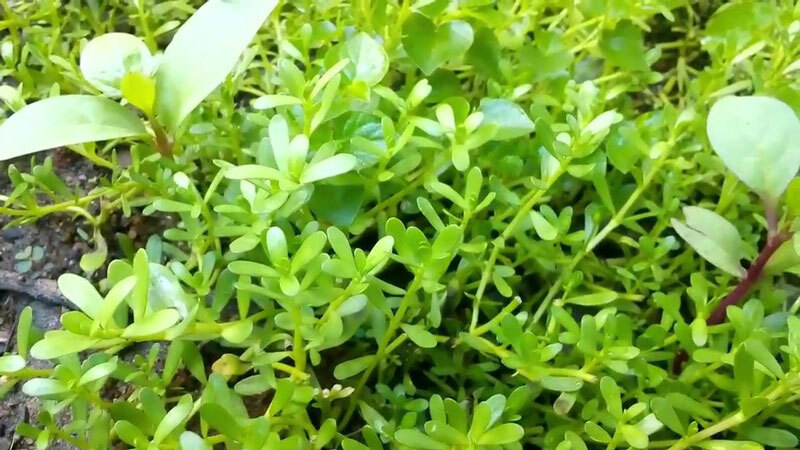 This herb is found in Europe and Asia and commonly used in Vietnamese restaurants in the United States. Due to its sour, kiwi-like taste, it is usually added to salads, and can be found in� bánh xēo, soups and spring rolls. 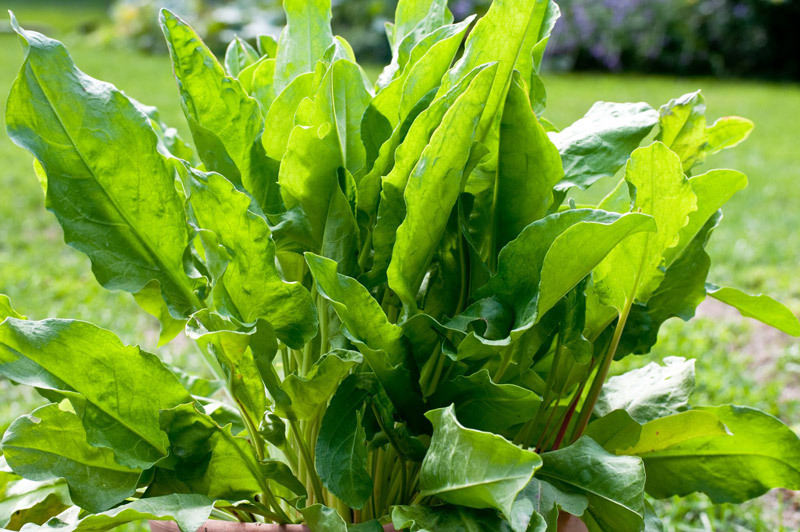 Health benefits?� Sorrel is also known for its� health benefits, such as regulating blood pressure, boosting eyesight and remedying certain skin infections.